A quick fix to healthy eating is to turn last night’s leftovers into today’s soup for a Lean Luncheon. The soup is thick and flavorsome, packed with goodness and super easy to make. 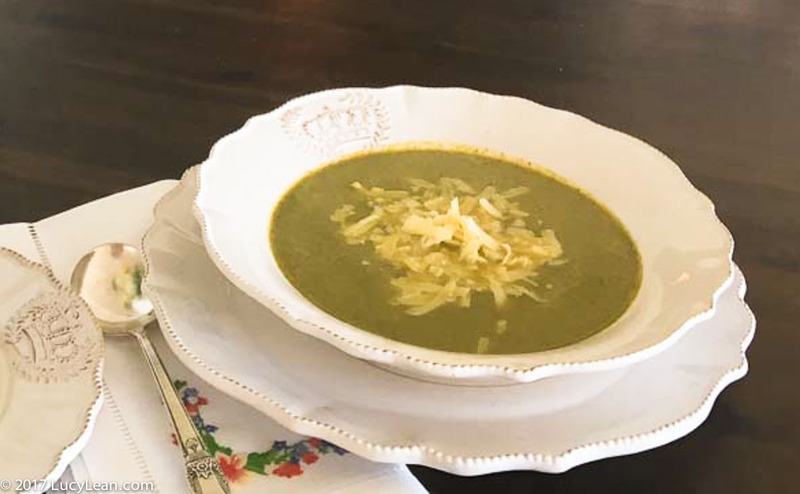 Fill up on warm comforting soup before or after a brisk winter walk on the beach. 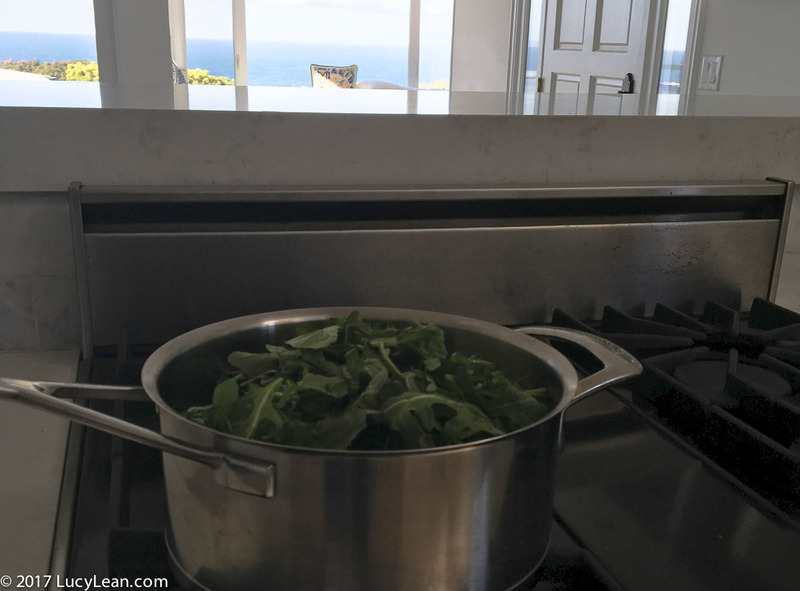 I feel so grateful to not only have a fab kitchen to cook in but it’s a kitchen with a view – blue skies and blue seas for miles. Last night we had roasted vegetables and an arugula and asparagus salad and there were a few leftovers. So I put these leftovers, some roasted vegetables and the asparagus into a pot with some chicken stock and added lots of fresh arugula. 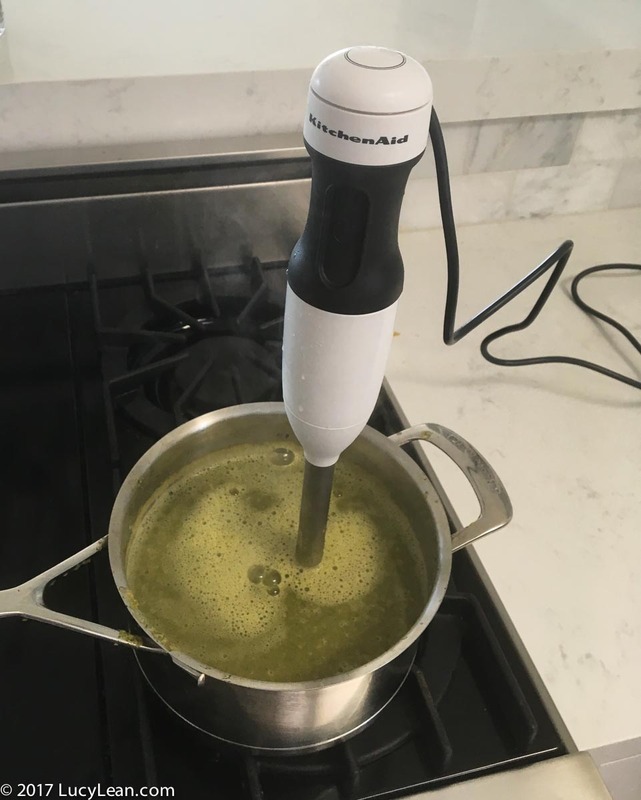 Once the soup has come to a boil and cooked for about 10 minutes, until all the arugula wilts, it’s time to get out the magic immersion wand. 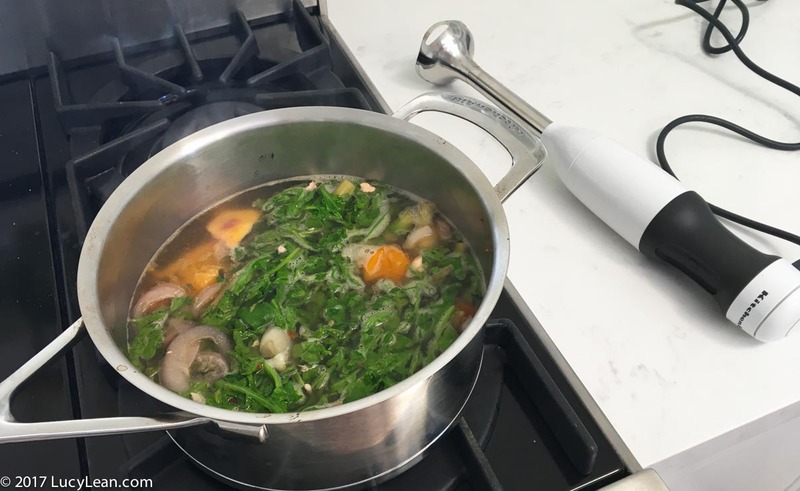 I love this new immersion blender from Kitchenaid – it’s quiet and efficient and whips up a smooth soup in a couple of minutes. Taste and add salt and pepper as needed. 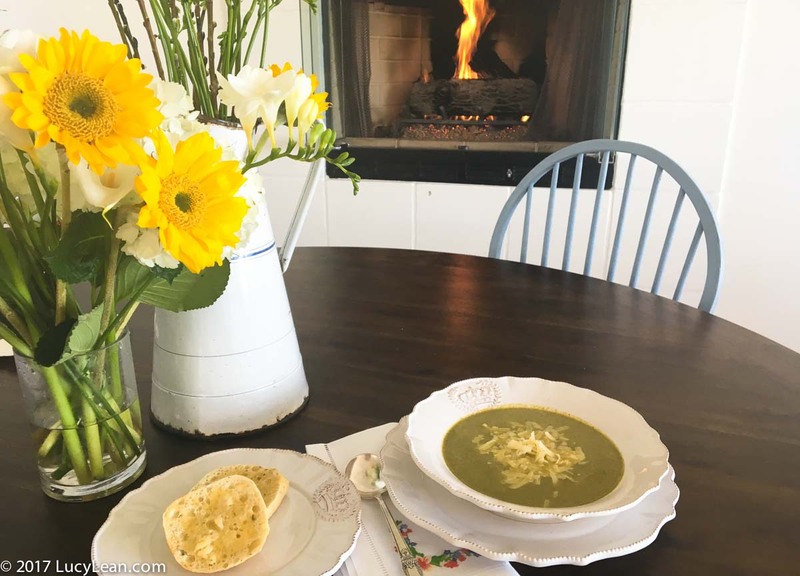 Top with grated Cheddar cheese – this always reminds me of eating soup on the slopes in the Alps when skiing – thick hearty vegetable soup with melted cheese dripping from the spoon. Leftovers vegetable soup is the perfect food for to warm you up on a windy day in the Bu.